Distributors of Rajinikanth, Sonakshi Sinha's Lingaa film yesterday protested in Chennai demanding Super Star Rajinikanth impress upon the filmmakers to compensate for the losses they suffered as the film bombed at the box office. Distributors went ahead with the protests even after Tamil Artists Association asked them to solve the matter amicably after making it clear to them that film industry is not immune to losses. 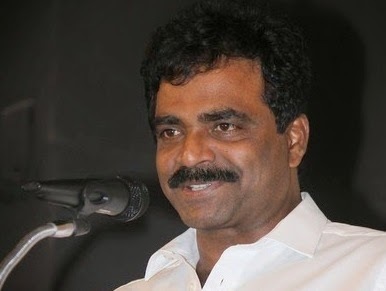 Today producer of the film Rockline Venkatesh speaking to scribes asserted that he didnot cheat any distributors and turning emotional said if he is proven guilty, he is ready to give in to the demands of the distributors. Earlier on Thursday, R.Singaravadivelan, distributor who bought the Trichy and Thanjavur rights alleged that producers cheated them for selling the rights for exorbitant prices and approached High Court seeking permission to go on fast in Chennai along with other distributors.